Music can easily give us all the feels and invoke hidden feelings and emotions we never knew we could have. We really get it while listening to this powerful duet – Andrea Bocelli and Sarah Brightman. Their song “Time To Say Goodbye” gives us goosebumps! The song makes us want to enjoy it with our eyes closed, and hearts open. This famous song 'Time To Say Goodbye' was originally written and dedicated to boxer Henry Maske (he was a close friend of Sarah's), as a farewell to him. It was performed for the first time at his final fight in 1996. Since then the song has sold over 12 million copies. 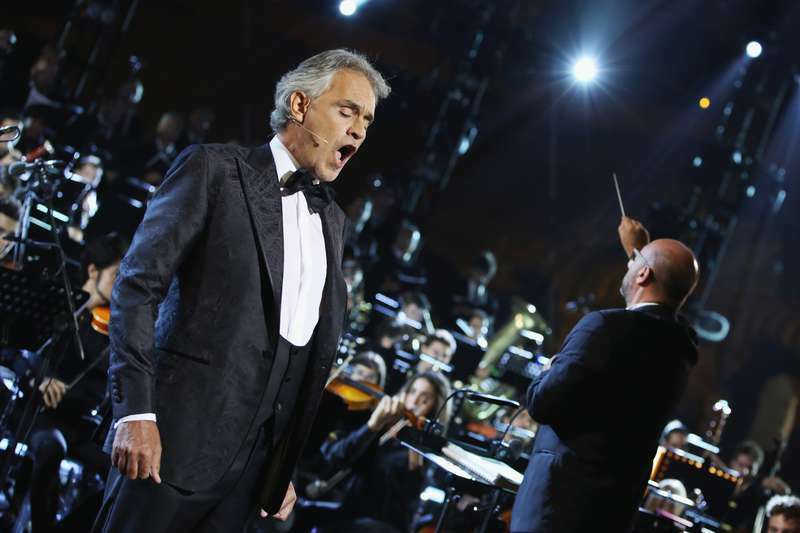 Andrea Bocelli continues to magnetize us with his voice, it has now been 20 years since his career began. The biggest satisfaction the artist receives is when he sings for an audience, not in the recording studio. In an interview, Andrea revealed that it was hard for him to fight stage fright, but he does it every time he has to perform in front of people. But he also said “God is the audience”, and there is no bigger happiness than singing live. For any singer, the most important thing is to feel the feedback from the listeners, and Bocelli receives it fully because he has an outstanding talent of being able to touch people’s souls with his voice. Bocelli has sold more than 70 million records, yet the song “Time To Say Goodbye” remains the most famous of all.